Grigore Alexandrescu was born at Tîrgovişte, a former capital city of medieval Walachia, into Lixăndrescu family. For a few years (first as junker, later being promoted to second lieutenant) he was enrolled into the army of Walachia. Between 1849 and 1854 he was director of the State Archives (of course, in Walachia). 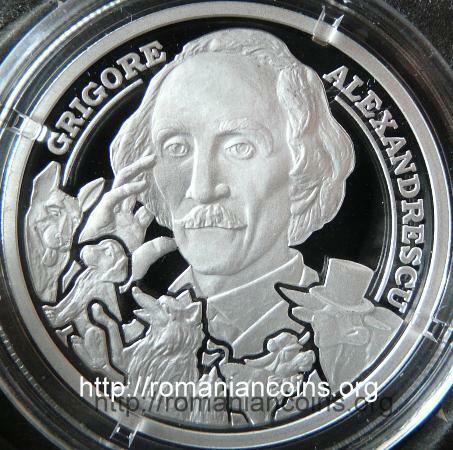 After the Union of 1859 Grigore Alexandrescu was for a short period (six days!) director into the Minister of Cults and Public Instruction. After 1860 he lived a withdrawn life, being poor and very sick. In 1864 he was rewarded with a monthly pension of 1000 lei, for almost the 24 years of service . Grigore Alexandrescu lasted in the history of the Romanian literature through several fables and other poems, very appreciated in that epoch. 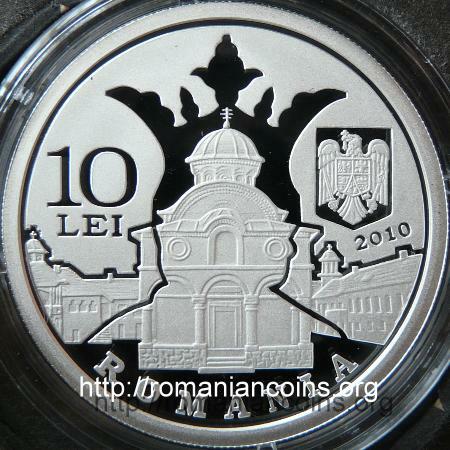 It was one of the first Romanian poets, a large part of his works having been written before the Revolution of 1848. Interesting details about the life of the poet are given by Ion Ghica , inside one of his letters to Vasile Alecsandri from 1886, letter entitled "Memoirs about Grigorie Alexandrescu". We found that around year 1831 the young Grigore lived in Bucureşti at his uncle, into a cellar of the Mitropolitan's residence, and he attended the French course of professor Vaillant at Saint Sabba. Later on he had moved into the house of Heliade Rădulescu, and then at major Ion Cîmpineanu, where the "Philharmonic Society" used to meet. After his moving at Tache Ghica, father of Ion Ghica, Alexandrescu was imprisoned for three months, after he the publication of the poem "Year 1840" and after the discovery of a conspiracy against the ruler of Walachia, Alexandru Ghica (1834 - 1842). During the reign of Gheorghe Bibescu (1842 - 1848) Alexandrescu was very appreciated at the princely court, being appointed director at the Faith Department (where he was responsible for the leasing of the estates of the monasteries - operation that was quite inviting and very lucrative, the reason why that position was very chased - but Grigore remained the same poor man even after years of service in that job). 2. Ghica I., Din vremea lui Caragea. Scrisori către V. Alecsandri. (From the time of Caragea. Letters to V. Alecsandri) Editura de stat pentru literatură şi artă, Bucureşti, 1960.